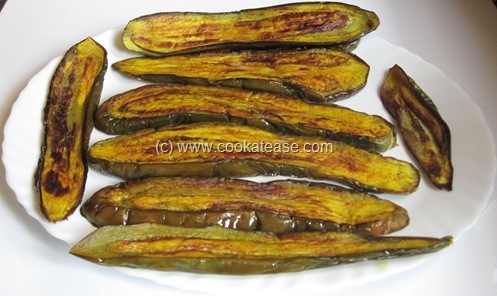 Eggplants of Kolkata are popular for their size and taste. 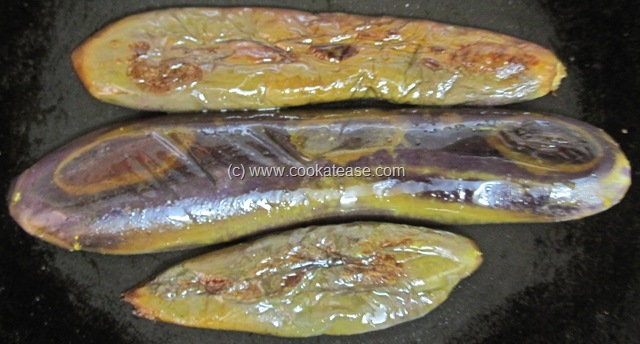 These eggplants are big in size with hardly any seeds inside. They taste little sweet also after cooking. 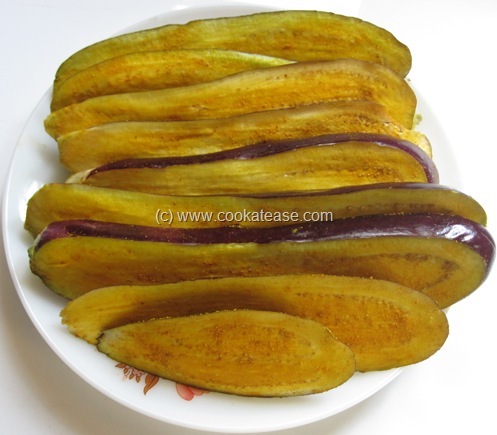 I received some eggplants of Kolkata recently from my daughter. I prepared this simple Begun Bhaja (Bengali Eggplant Fry) at once without deep frying. It is soft and tastes little sweet. When most of the Indian dishes are spicy, this dish uses only little turmeric powder, salt and mustard oil. 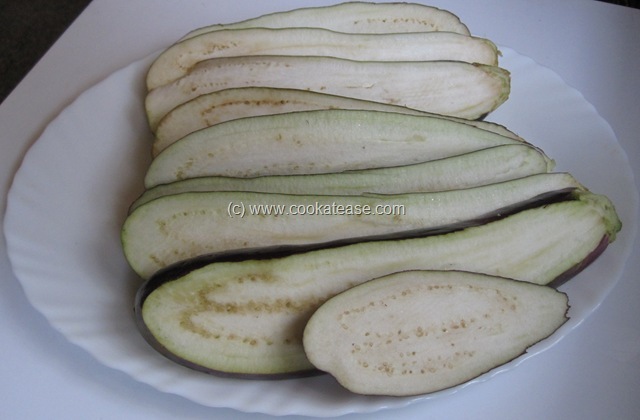 Eggplant is known as ‘Begun’ in Bengali (‘Baingan’ in Hindi). 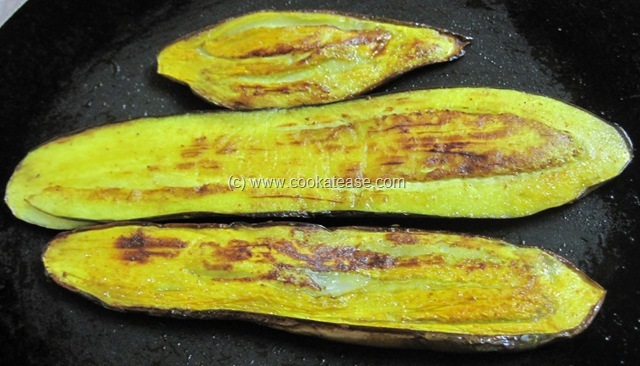 ‘Bhaja’ in Bengali means ‘fry’. Wash and cut eggplant vertically into long slices of 1 to 2 centimeters thick. 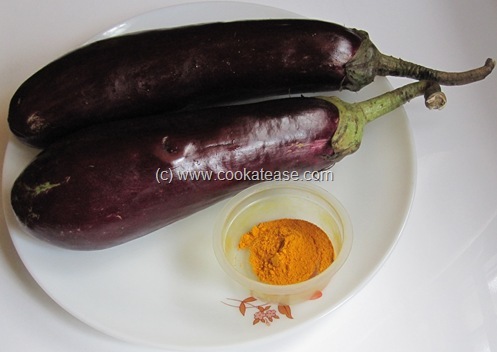 Mix turmeric powder with salt and apply lightly on the cut sides of eggplant slices; leave it for ten minutes. Heat a flat tawa; grease it nicely with mustard oil; place the eggplant slices and cook only in low flame; apply few drops of mustard oil on the surface of eggplant slices. 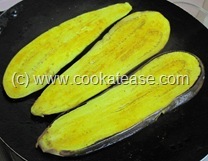 Turn the sides of eggplant slices in between; cook till golden brown. Now tasty Begun Bhaja (Bengali Eggplant Fry) is ready. Tastes nice even without deep frying. 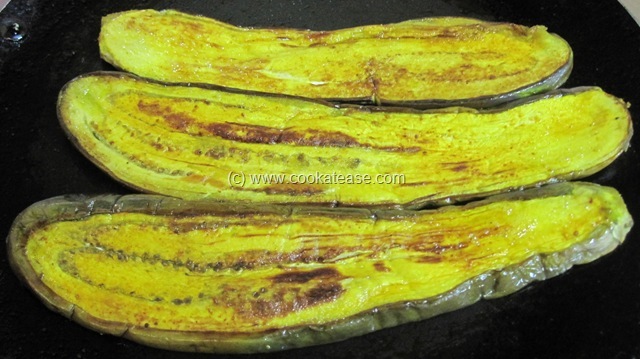 Mustard oil suits well to prepare this dish. 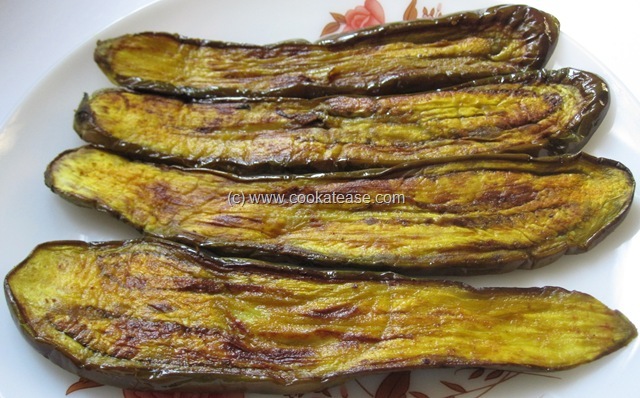 Thats a delicious and tempting eggplant fry,sounds very easy..
Its a new recipe for me,but sounds interesting,can we do the same with the eggplants available in andhra..
Brinjals are my favourite and this one looks yummy! Please collect your awards from my space . Usually we add red chilli powder, asafoetidia traces, mustard powder. Gives it a tangy taste! MOUTH WATERING..LOOKS GOOD..I WILL DEFINITELY TRY .